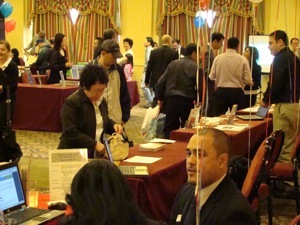 We visited the expo in search of information about the state of mortgage lending in Queens. Given the Asians seem to be America's financiers, we thought this expo might be a good place to research this question. 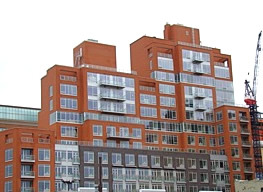 Click here to read our full report about real estate finance and mortgage lending in Queens. 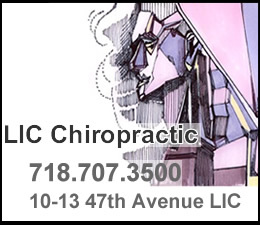 CAREA started seventeen years ago in Flushing . 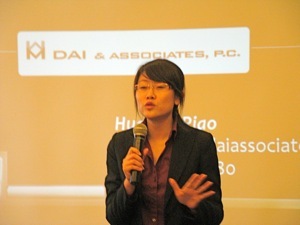 The idea was to help build a network of real estate professionals in the Flushing, Queens and NYC area. 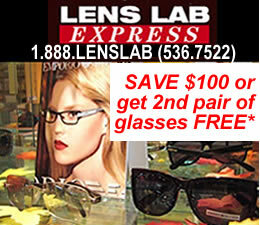 Originally the organization only allowed licensed brokers and representatives to become members. In recent years CAREA expanded its membership guidelines to encompass additional real estate related professions including lawyers, abstractors and lenders. Pictured in the photo to the left is Bill Seto, president of CAREA. CAREA is a non-profit organization that also hosts other events, such as bi-monthly meetings, where the guest speakers address real estate related issues. These meetings cover how to finance real estate purchases and how to approach real estate legal issues such as clearing liens and obtaining inspection approvals. 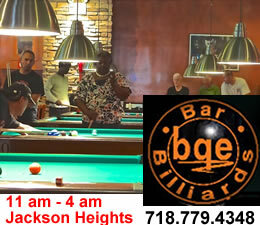 The meetings also provide networking opportunities to those who attend them. 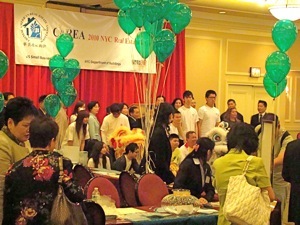 CAREA hosts a Christmas party, Valentine’s Day party and this year they hosted a very successful Chinese New Year Party. Click here to view a slide show of the Chinese New Year Parade. I attended this meeting to gain a better feel for what’s going on in the area of finance, specifically as it relates to Queens real estate. Queens Buzz had just posted a report on the LICBDC [Long Island City Business Development Corporation] real estate breakfast meeting, which included a panel of speakers who provided differing perspectives regarding the current state of the real estate market in Long Island City, LIC. 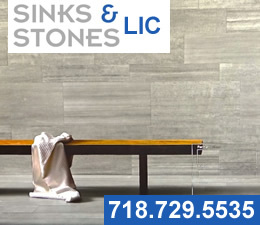 Click here to read the Real Estate In Long Island City, LIC, Queens panel discussion hosted by LICBDC. So I asked several expo attendees about the general state of the Queens real estate market. Two attendees informed me that real estate prices in Queens have fallen by at least 10% – 15% since their highs. 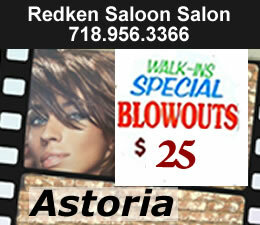 They also said that Queens real estate market prices appear to have stabilized this year. When asked about the demand for Queens real estate, the universal response was that the market was slow in terms of transactions and dollars. Everyone seemed to agree that the government’s $8,000 tax credit over the past year helped keep the Queens real estate market moving, although this was not as significant a motivation in the larger transactions as in the smaller ones [$350,000 or less]. Application for the tax credit expired on April 30th and those who qualified for the credit must complete their transactions by June 30th. 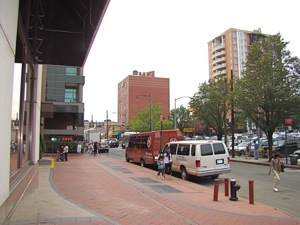 In the photo above you see several new buildings which have risen in Flushing over the past decade. During the real estate boom, new housing units grew at a rapid pace. This increased supply which will result in lower prices - if demand doesn't keep pace. 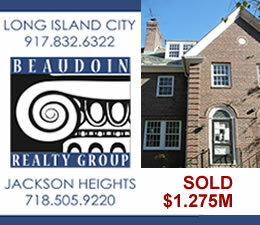 The most important facet influencing the Queens real estate market prices and demand was the current state of lending. Throughout the course of the expo I met several bankers and mortgage lenders and asked them about the current state of lending as it related to the Queens real estate market. There seemed to be wide agreement as to the factors at play and the influence of them on the general level of business activity. The current volume and pace of real estate lending has slowed most notably because of the size of down payments required by lenders to close a transaction. Currently, lenders are requiring down payments of between 20% - 50% of the purchase price. This is a steep rise from the levels of the past decade, which in many cases had fallen to zero. Historically, banks in the U.S. used to require down payments of between 20% to 25% of the home sale price. But financial deregulation that began in the late Clinton years  and snowballed during the Bush years  enabled many buyers and borrowers to avoid making any down payments at all, and many weren’t required to verify their incomes. Hence many subprime ‘No Doc’ loans were made, which contributed to the current weakened state of the U.S.’s banking system. 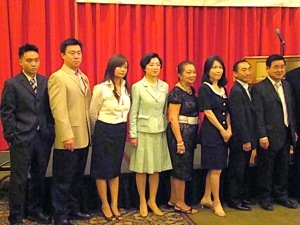 Peter Koo, NYC City Council representative for Flushing is shown at right, while Kailin Zhu, Director of Public Relations for CAREA, is shown in the center of the photo wearing pastel green. One attendee quipped, “During the boom years the government would ask the banks, “Why didn’t you approve that loan – meaning there was the possibility of bias in denying the loan.” The attendee went on, and said “Now the government asks, why did you approve that loan – meaning why wasn’t there more thorough documentation and verification.” Good bankers could easily justify both questions in both eras, but the point was that the regulatory pendulum has swung back to a more conservative stance. Most attendees seemed to understand why the government was tightening up the regulations, but they expressed concern that the government and the banks might tighten up lending more than necessary, which would choke off what appears to be a tepid recovery. The government’s FHA [Federal Housing Authority] insurance program is the second factor [in addition to the $8,000 tax credit] that has mitigated the impact of the higher down payment requirements. The FHA was created to enable America to become a nation of homeowners and has grown to become the largest insurer of home loans in the world [34 million homes]. It has operated entirely out of the revenue it receives for the services it provides, since its inception in 1934. The FHA works with certain lenders to insure loans and this has the effect of reducing the down payment requirements, and in some cases the payments as well. 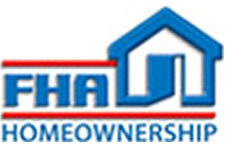 The FHA loan insurance fees are incorporated into the loan payments made by the borrower. And typically, after five years, these payments begin to decline probably due to far lower risk of default by the borrower. The FHA is also helping / enabling new building owners to sell their units. Banks / lenders typically shy away from lending to borrowers who wish to buy units in new buildings with low occupancy rates [50% or below]. This makes it harder for a new building to sell units until it reaches that occupancy threshold, as financing holds buyers / banks back from stepping in too quickly, lest they get burnt by a financially failed building. So when a building gets FHA approval, lenders are then able to share the risk with the FHA. Hence they have more flexibility in structuring down payments and loan payments, thus expanding the potential market which has the effect of enabling buildings with lower occupancy rates to sell their units to buyers who qualify for FHA insured financing. The other thing that has slowed down the real estate closing process is that banks now verify the documentation provided to them by the borrower. Hence a borrower’s pay stubs are cross referenced with their employer’s records, and borrowers’ federal tax returns are cross referenced with the IRS database. 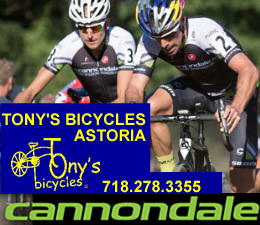 All tolled, while things have slowed and it takes more time and effort to move a property, it seems that the Queens real estate market has continued to chug along, albeit at a far slower pace. There are concerns about what happens after the government ends the $8,000 real estate tax credit at the end of June 2010. A last note, is that the European crisis has helped lower rates in the U.S. real estate lending market. One lender told me that Queens real estate mortgage rates fell this week to 5% and even lower. 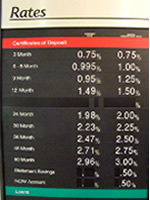 But they quickly added that they didn’t know how long such rates would last. 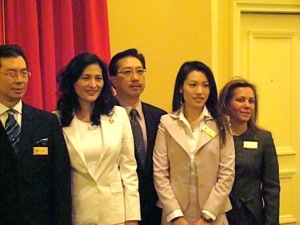 Many thanks to the Chinese American Real Estate Association [CAREA], President Bill Seto and Board Member / PR Director Kailin Zhu as well as the numerous mortgage and real estate professionals who took the time to be interviewed for this story. 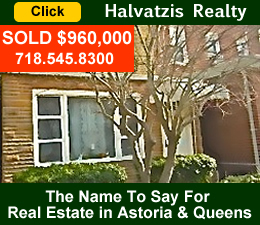 Click here to go to the home page of Halvatzis Realty in Astoria and Beaudoin Realty in Jackson Heights. 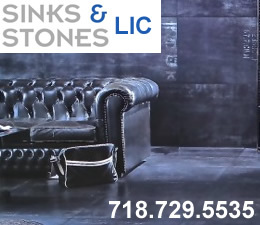 Mortgage Lenders in Queens. 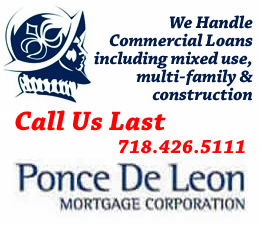 Click here to go to the home page of Ponce Bank - mortgage lending in Queens. 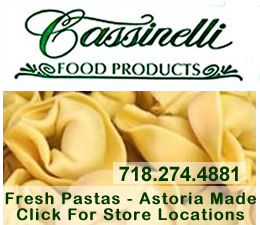 Click this link to go to the Flushing & Corona Neighborhood News / Flushing & Corona Restaurants Guide & Map / Flushing & Corona Shopping Center & Map.